Posted March 5th, 2019 by SCS Gearbox & filed under Monster Trucks. Posted February 13th, 2019 by SCS Gearbox & filed under Monster Trucks. Posted January 14th, 2019 by SCS Gearbox & filed under Miscellaneous, Monster Trucks. Posted December 27th, 2018 by SCS Gearbox & filed under Monster Trucks. Posted October 31st, 2018 by SCS Gearbox & filed under Monster Trucks. Posted October 30th, 2018 by SCS Gearbox & filed under Sled Pulling. Posted October 22nd, 2018 by SCS Gearbox & filed under Parts. Posted October 2nd, 2018 by SCS Gearbox & filed under Mud Trucks. 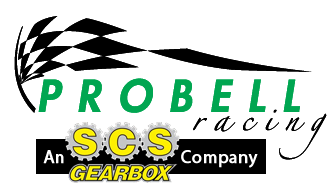 Posted September 26th, 2018 by SCS Gearbox & filed under Miscellaneous, Monster Trucks. Posted September 11th, 2018 by SCS Gearbox & filed under Motorcycles.